– From 2 to 14 May : Design enthusiasts will be making their way this month to D’Days. Exhibitions, workshops, discussions and so on over this 12 day period. – The 81st edition of the ice hockey world championship kicks off on 5 May, with 64 matches to be played by 16 countries attempting to wrest victory from the 2016 champion, Canada. – 18 to 21 May : The food fair Taste of Paris, which sets up its stall in the nave of the Grand Palais. There will be a host of tasting sessions, chats with chefs and culinary events to enjoy. – 20 May : The European Night of museums – An opportunity to enjoy specially created afterhours events in a hundred-odd museums across the Ile de France region. 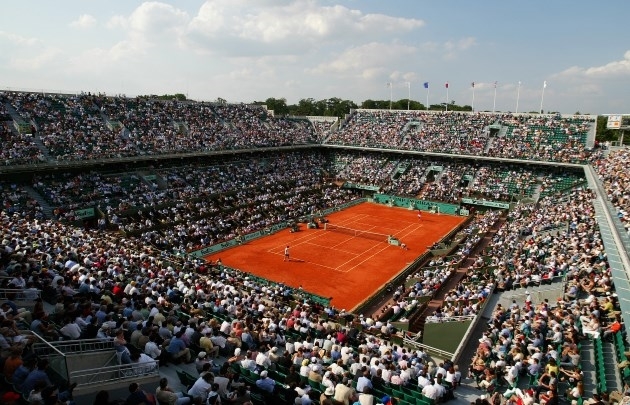 – 22 May to 11 June : Roland garros at Porte d’Auteuil. Last year, Serbian player Novak Djokovic finaly won his first French Open title. Will he manage it again this yeah ? – 20 and 21 : The legendary Grand Steeple-Chase of Paris, with 23 obstacles to be cleared at the Auteuil Racecourse. – The young Canadian pop sensation Shawn Mendes in concert at AccorHotels Arena. – 25 May is the Africa Day : L’Afrique des routes exhibition ( open until November) at Museum Quai Branly. – On 27 May, see out the month in style by heading to the Stade de France for the French Cup football final 2017. – In late May, at the Musée du quai Branly – Jacques Chirac, set sail for Oceania and drop anchorr in New Zealand with La Pierre sacrée des Maoris.